Black Ops II is being scored by Mass Effect II's composer, but Trent Reznor wrote the main theme. When Call of Duty abandoned its traditional WWII setting, it dropped the classic orchestral compositions the series' soundtracks were known for in favor of a simpler, more modern sound. Now that Black Ops II is dragging the series into near future, it makes sense that the soundtrack will take on a harder, more sci-fi-inspired edge. 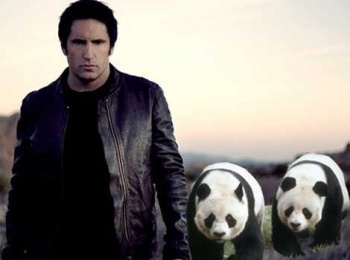 Enter Trent Reznor, of Nine Inch Nails fame. Reznor told USA Today that he's put together an "aggressive sounding" rock track to serve as the game's main theme. "There is a lot of reservation and angst and sense of loss and regret and anger bubbling under the surface," he said. "So it didn't make sense to have a gung-ho patriotic feeling kind of theme song. It has to feel weighty." "I have always looked to that franchise as the cutting edge of what seemingly unlimited budgets and full-on not cutting any corners can do in the current day and age," he said of the Call of Duty series. The theme song will be Reznor's only contribution to the game. The rest of the soundtrack will be provided by Mass Effect 2 composer, Jack Wall. This isn't Reznor's first musical contribution to the game industry. He's credited with scoring id Software's ground breaking Quake, and though his work didn't make it into the final product, he worked as a sound engineer on Doom 3.